Dr. Victor Frankenstein builds a creature from the remains of the deceased. The creature is unable to handle the primal or emotional drives of human beings. The doctor’s wife is killed. After succumbing to the cold in an attempt to bury her, a now alone creature goes about to bury his creator when he is attacked by demons. After killing one of them, the creature – named “Adam” (Aaron Eckhart) – is intercepted by gargoyles and finds himself in the middle of an age-old war between two immortal forces battling for control of the world. Being left alone as the only of his kind in a changing, fast-paced world, we come to see him interact some 200 years from the opening time period wherein he is still being pursued by the prince of dark forces who initially sought him, “Naberius” (Bill Nighy). When he encounters a scientist who helps him understand himself, “Terra” (Yvonne Strahovski), he is made ready to carve out his own destiny. 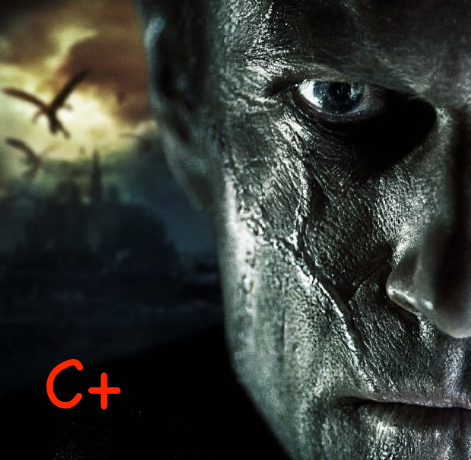 It travels some mighty familiar terrain, but there is something to be said for I, Frankenstein. No, it doesn’t exactly pay homage to older works like I would have liked it to, but what it lacks in nostalgic reverence it makes up for in inventiveness by introducing an entirely new generation to Frankenstein—a much less stiff and much more maneuverable Frankenstein. And while being awash in tough guy statements (“Descend in pain, demon!”) and death-stares between standoffs, its ideally created atmosphere and comic-worthy fight scenes allow it to fare rather well as a unique and Halloween-friendly action movie alternative with more than decent performances and a superbly selected cast. 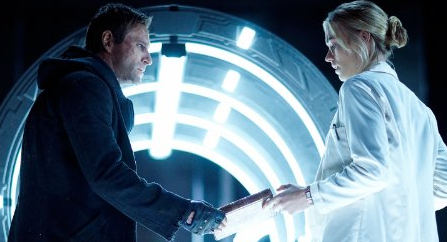 With Eckhart in a role that was absolutely made for him – and a script that lends itself to offering up an almost touching story at a few brief intervals – viewers may well be shocked to find this marriage of action and sci-fi to be better received than many of the critic reviews have let on. Some inconsistent pacing notwithstanding, the film cleverly ties in elements of Judeo-Christian myth into the Frankenstein story while the struggle toward personal growth and recognizing a higher purpose both enjoy a welcomed place. Going in, it may all have seemed a bit too much (or not enough), but in retrospect, what few stripes it earned it truly can be said to have earned.